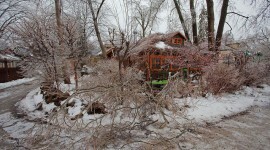 Ice-coated branches frame the waiting shed on Ward’s after the ice storm of December 2013. 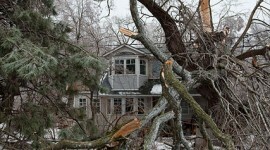 Surveying the damage at Second St. and Lakeshore Ave. after the ice storm of December 2013. 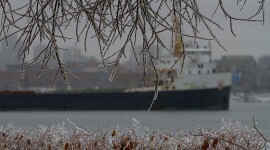 The Algosteel arrives in Toronto Harbour, one of the last ships of the season, after the ice storm of December 2013. 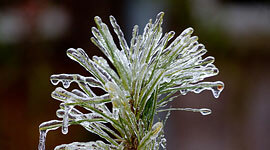 Evergreen needles are sheathed in ice after the ice storm of December, 2013. 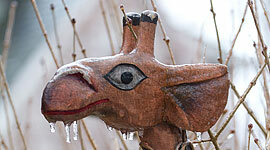 A whimsical giraffe coated in ice after the ice storm of December, 2013. 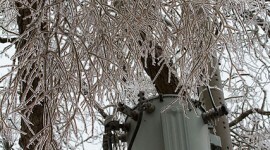 A transformer, itself clear of ice, is surrounded by ice coated branches after the ice storm of December 2013. 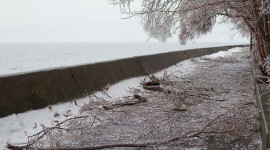 Ice and tree debris litter the boardwalk after the ice storm of December 2013. 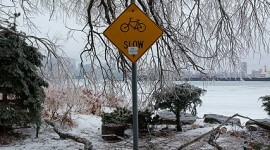 Signs at the intersection of First and Channel, surrounded by broken tree limbs after the ice storm of December 2013. 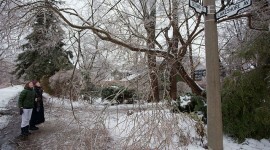 Major tree damage in front of 22 Bayview Ave., after the ice storm of December 2013. 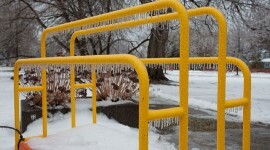 One of the new handcarts sits coated in ice after the ice storm of December 2013. 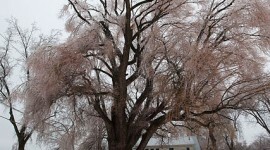 The Great Willow on Ward’s looks a little the worse for wear after the ice storm of December 2013. 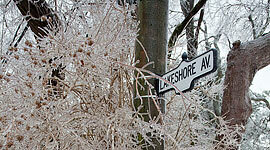 A sign for Lakeshore Ave is almost completely hidden from the street by ice. 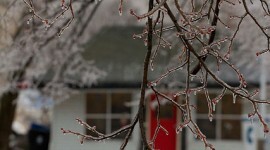 10 Lakeshore Ave. is surrounded by ice after the ice storm of December 2013. The corner of Bayview and Third St. appears to lie in ruins after the ice storm of December 2013.